The protracted violence in Kashmir took another ugly turn in the beginning of this year. The first four-and-a-half months witnessed the loss of 115 lives. April was the worst month in terms of killings as 50 people were killed. Young and highly educated people are gradually sliding into a violent trap and becoming instant victims. The tragic story of Dr Rafi Bhat, assistant professor of sociology at the University of Kashmir, is not only heart-wrenching but also illustrates a deep-rooted sense of alienation, as well as the far-reaching impact the conflict has had on peoples’ hearts and minds. On April 4, Rafi delivered a lecture and told his students that he would be out of town for a while. In the next two days, his bullet-riddled body was brought to his house in a coffin. Mourning and despair gripped entire Kashmir valley as one of its brilliant sons departed in the most tragic way. The public reaction to state clampdown was unprecedented. The killing of Burhan Wani, in 2016, has brought about a visible cultural change in the valley; people are now more inclined toward showing defiance. For instance, at Burhan’s successor, Saddam Padder’s, funeral – killed in Shopian along with the professor – the latter’s mother is reported to have fired in the air from the rooftop of their house in front of a charged crowd. She manifested the courage of the mother of a martyr. Twenty six years old Junaid Ashraf Sehrai, a recent MBA graduate from Kashmir University and son of prominent leader Mohammed Ashraf Sehrai – who replaced Syed Ali Gilani as the chairman of Tehreek-e-Hurriyat, is also said to have joined militant ranks. The elder Sehrai, despite persuasions, refused to appeal to his son to come back. Naeem Fazili, the father of a militant and the principal of a government school in Kashmir, when heard that his son, Eisa Fazil, was gunned down by Indian troops in an encounter, announced the news himself through a Facebook post and subsequently led his son’s funeral prayers too. These are just the tips of the massive icebergs of determination, demonstrating how the younger generation of Kashmir is opting for a militant struggle with the approval of their families and of society. A no-dialogue approach towards Kashmir has yielded nothing but loss of more lives and has broadened the sense of discontent. Despite strong warnings and punitive actions, ordinary people come out to fight the forces in order to rescue the trapped militants. Indian Army Chief Bipin Rawat in his recent interview to the Indian Express confessed that the youth has got into the trap of violence and attack the forces without any fear of retribution and that people ‘incite security forces by pelting stones at them to disrupt the operations’. 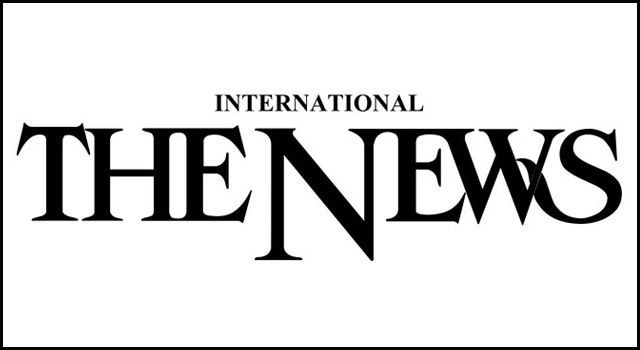 The Bharatiya Janata Party (BJP) government’s policy of toughening up on Kashmir has not only deepened the disenchantment but also made Pakistan a major player in Kashmir’s politics. Most of the people who used to oppose the ideology of Pakistan now openly say that New Delhi has vindicated Jinnah’s Two Nation Theory. 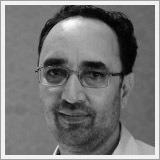 Bashir Manzar, a senior journalist based in Srinagar and a long-time critic of Pakistan, while commenting on the current situation wrote on Facebook: “Whether we like it or not, Modi regime’s Kashmir policy has made Pakistan much more relevant than it was in 1947. Pakistan has a strong constituency in Kashmir and not of separatists alone”. Doubtlessly, the state of affairs in Kashmir has gone from bad to worse during the last couple of years. No one seems to have a remedy that can reverse the situation and protect the young generation from falling into the vicious trap of violence. If not kept in check, an entire generation could fall prey to violence and become an easy target for the Indian armed forces. Thanks to the tragic attacks of 9/11, human rights violations by state forces have generally become a legitimate tool to quash dissent. And things are no different in Kashmir. It is widely stated that the onus lies on New Delhi to improve the human rights situation by engaging the All Parties Hurriyat Conference (APHC), and subsequently on Pakistan to establish a meaningful and time-bound dialogue process in order to resolve this dispute once and for all. The Concerned Citizens’ Group of India, led by former external affairs minister Yashwant Sinha, also supported the popular demand of ceasefire and urged the government of India to initiate a purposeful dialogue with all stakeholders. No official response regarding the Ramazan ceasefire has been announced so far from either the APHC or Pakistan. However, this initiative has the potential to end the deadlock and facilitate a larger engagement and dialogue, not only between the governments of India and Pakistan but also among civil society groups which exist on both sides of the Line of Control. It is clearly evident that the Kashmir dispute can neither be settled through military means nor is war a viable option. In simple words, war cannot be won. History is testament to the fact that without engaging resistance groups in the dialogue process conflict cannot be resolved. Even during active conflict, ways and means should be explored to engage parties involved in fuelling violence. Some people in India also need to realise the significance of a peaceful and political dialogue over Kashmir. Recently, while responding to live questions received on Twitter, Director General Police Jammu and Kashmir, S P Vaid opined that, “I personally feel [that the] gun is not the solution. Every party concerned, including even our neighbour (Pakistan), should sit together and talk it out. Violence is not the solution”. Hence, the only way forward is to resume dialogue. But before kicking off the formal consultations, ceasefire inside the Kashmir valley and along the LoC has to be ensured, for it is a prerequisite to create an environment that is conducive for a fruitful dialogue.